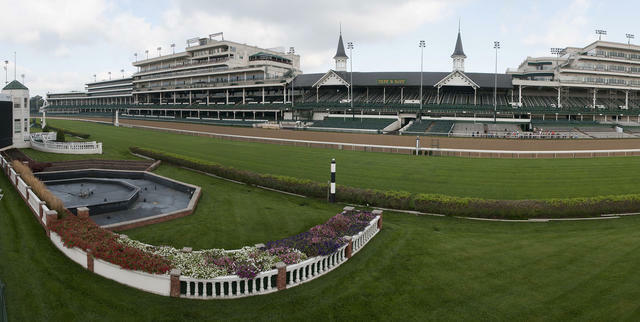 Churchill Downs invites fans to get their game day started early with a special 3:30 p.m. Twilight Thursday eight-race program at the world-famous Louisville racetrack. With the University of Louisville and Clemson scheduled to meet at 7:30 p.m. in a nationally-televised game on ESPN at nearby Papa John’s Cardinal Stadium, Churchill Downs has moved its post time from 5 p.m. to 3:30 p.m. so fans can enjoy the best of both worlds. WCCP 105.5 FM, the flagship station of Clemson athletics, will broadcast a pre-game show from 1:30-4:30 p.m., and ESPN Upstate 105.9/97.1 FM in Greenville/Spartanburg, S.C., will host “Straight Up with Sturg” from 4-7 p.m.
Where: Churchill Downs Racetrack, 700 Central Ave., Louisville, Ky. 40208 (an approximate 1 ½-mile walk to and from Papa John’s Cardinal Stadium). Traffic Advisory: Churchill Downs guests hoping to avoid game day traffic delays are encouraged to enter and exit Churchill Downs from Taylor Blvd. off Interstate 264 and proceed to Longfield Ave. or Central Ave. Enter: Exit Taylor Blvd. off I-264 and proceed north on Taylor Blvd. and turn right on either Longfield Ave. (Churchill Downs’ Gate 10 will be on left) or right on Central Avenue (Churchill Downs’ Gates 1 and 17 will be on the right). Exit: Turn left onto Central Ave. and left on Taylor Blvd. to proceed to I-264 or turn right onto Longfield Ave. and left on Taylor Blvd. to proceed to I-264. Tickets/Additional Information: General admission is $3. Reserved seats: log onto www.ChurchillDowns.com and click the Tickets icon.